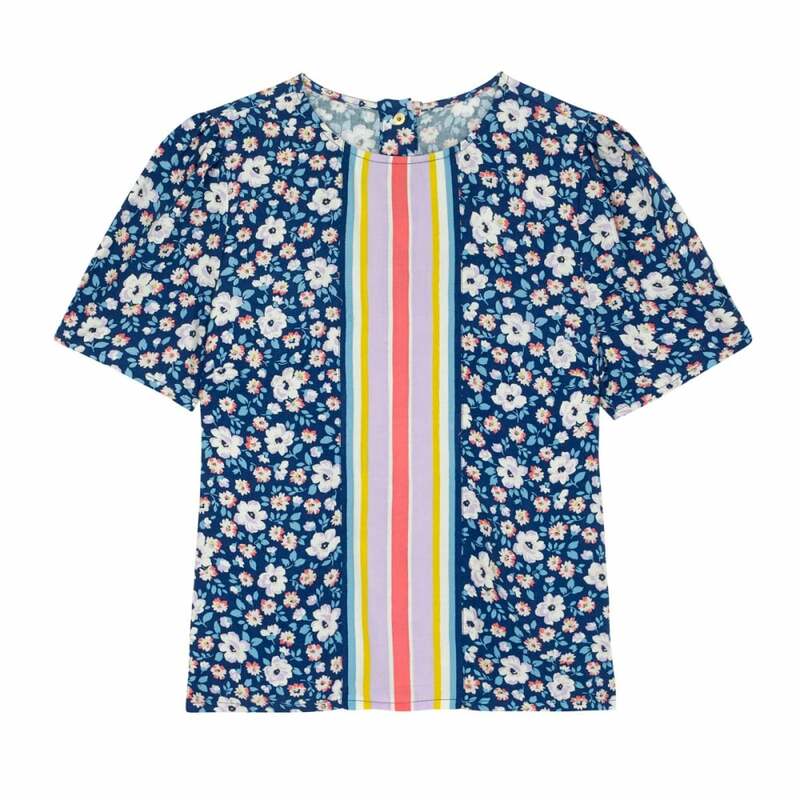 This lovely light-weight top is exactly what we want to wear as the temperature rises and the sun makes itself known after a long dark winter. We love the Island Flowers pattern which makes us think of long, lazy days, languishing on a white sandy beach under a tropical sun. Our favourite detail is the stripe that goes up the centre, bringing a bright zing of colour.